There are about 100 Millions of blog exist, publishing million of post daily online, now you can understand how is it important for writing article often to make money online from blog. The main important is title on blogging to get visitors, which will make you more revenue, in this article I will tell you some tips, which will save your time. The answer is in the off time, may be while in travelling, every people do travel and they have to wait while on travel in that time we just pass our time. 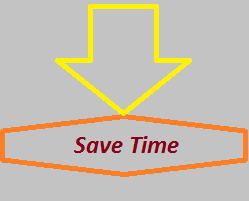 I think that is the best time to utilize for blogging, may be you can noted down article titles on your note book. This will save your lot of time, because if you are blogging then you have to think creative way that's why people will like what you are writing. One more thing I would like to share with you, your blog article must have a sub title, which will make your article more interesting and also it will show professional. One more time you can think about post title on the bed before sleep, which will also save your time. These are my personal experience, which I usually do to save my time, since last three years. I am sure what I have shared with you? Because, I have been in this situation. I mean I wanted to know when to think about next blog post, so I have shared my idea with you. And of course Youtube (Best place to know what trending in the video media) and then convert that idea into your words is one of the best way to write NEXT article. Actually, according to search engines, there are about 20% new queries searching every month, that means people wanted to know different type of things and what they wanted to know you can get from questions and answer websites.